Headline from the September 24, 1998 issue of The Carolina Indian Voice. Almost ten years of The Carolina Indian Voice, a newspaper out of Pembroke, North Carolina, are now up on DigitalNC thanks to our partner the University of North Carolina at Chapel Hill. The Carolina Indian Voice was established in 1973 and was published on a weekly basis until 2005. Issues from 1996-2005 are now available digitally. The paper primarily served the interests of members of the Lumbee Tribe living in Robeson County, who make up more than a third of the population of Robeson County and almost 90% of the town of Pembroke. The paper includes articles and editorials concerning local issues such as politics, social events, civic projects, and more. Although there is a strong focus specifically on issues relevant to members of the Lumbee Tribe, the paper also covers news and events pertaining to American Indians throughout the state of North Carolina and nationally. 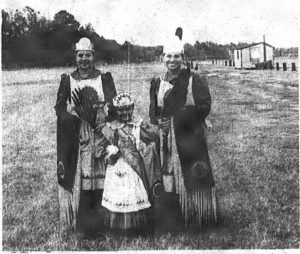 Image from the 1998 First Annual Fall Pow Wow in Hoke County as seen in the November 11, 1998 issue of The North Carolina Indian Voice. 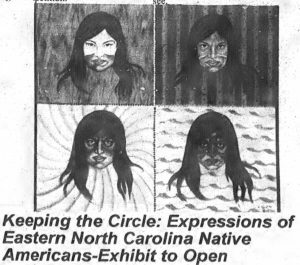 Headline from the February 25, 1999 issue of The North Carolina Indian Voice. The paper also focuses on advocacy with many articles covering struggles against the discrimination American Indians face regarding employment, education, and housing in the United States. To browse through issues of The North Carolina Indian Voice click here. To see more materials from our partner, the University of North Carolina at Chapel Hill, visit their partner page.